Let’s face it, Christmas isn’t a time for giving and it certainly isn’t a time for sharing, it’s the time of the year at which everyone attempts to work out what each of their friends and family would like to receive. Therein lies my problem – it’s exceedingly difficult to buy gifts for people of whom you don’t have an in-depth understanding. As you’ll all probably know, there’s nothing more disappointing than receiving an inadequate gift, particularly when you’ve put so much time and effort into the reciprocation. As such, it seems to me that the best approach is simply not to chance it – instead, make gifts that you know your loved ones will enjoy. Besides, gifting something unwanted is tantamount to waste and as we all know… waste is exceedingly un-frugal. Perhaps I’m what’s best described as a Christmas sceptic, a scrooge; someone who finds it impossible to understand the true meaning of the festive season. However, I suspect that there may be more Christmas sceptics out there than anybody lets on. After all, no one likes to openly admit to being even a little selfish. Still, with gifts like this red onion chutney perhaps my sin and punishment isn’t as large as first presumed. Perhaps a little cognisant selfishness has the power to help everyone receive a gift they actually want, or at least one they’ll use and enjoy. Once people realise that everyone’s just as selfish as everyone else, they’ll start buying gifts in order to encourage healthy reciprocity. If you’re in search of a little culinary warmth, you’ve come to exactly the right place. Not only is this chutney pleasingly comforting, it packs a healthy dose of spice to get those sinuses flowing freely once more… how beastly. 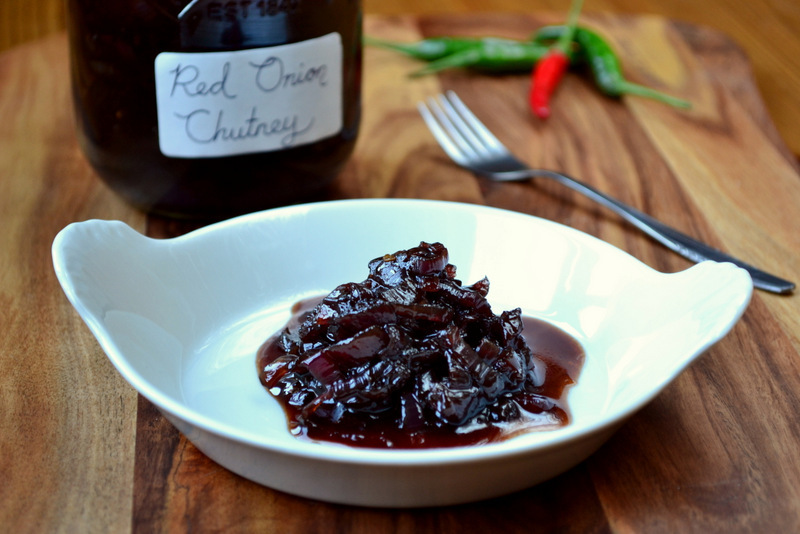 As you can imagine, this festive chutney has rather a lot of flavour – it contains eight red onions after all! But it isn’t too powerful and pairs rather nicely with a little mature cheddar, or perhaps something even a little stronger! Perfect for the cheese course of your Christmas Day meal! Merry Christmas! P.S. There’s a new frugal tip in my tips section! 1. 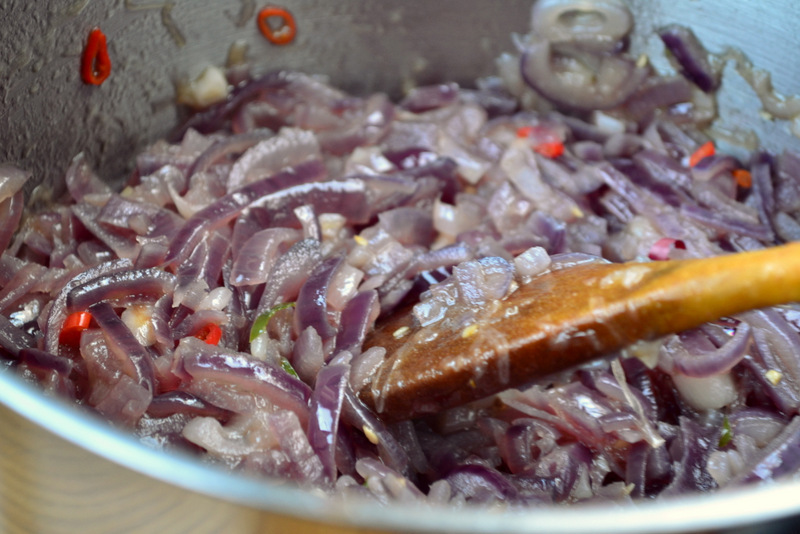 Heat a little oil in a large pan and fry the onions and chillies until lightly browned. This should take approximately 20 minutes. 2. Tip in the vinegars and sugar, season tentatively and cook over a medium heat for 30 minutes. Once thick enough to adequately coat the back of a spoon remove from the heat. Cost: By following this delightful festive recipe you’re likely to produce two jars of chutney for a mere £3. How very frugal, particularly when you realise that buying one jar of good quality chutney can sometimes cost as much as £5! It looks wonderful and am sure I wouldn’t be disappointed when I tasted it! I’ve got a lot of chutney to use at the moment, but maybe next year……….. Thanks! You won’t – I hope you do try it! Wonderful idea and recipe! I myself prefer homemade gifts, which is what I give also. Christmas has turned into a holiday for stores instead of consumers. People overspend and get into debt. I love spending my time in the kitchen making personal food gifts that I deliver with much love. Merry Christmas, happy holidays and a blessed New Year! Fantastic! I know, I love not to give too much money to big companies. Thanks! You’ll enjoy this for sure! Rosemary. I have instructed my girlfriend that in the event of my untimely death, you are to receive my skillet! 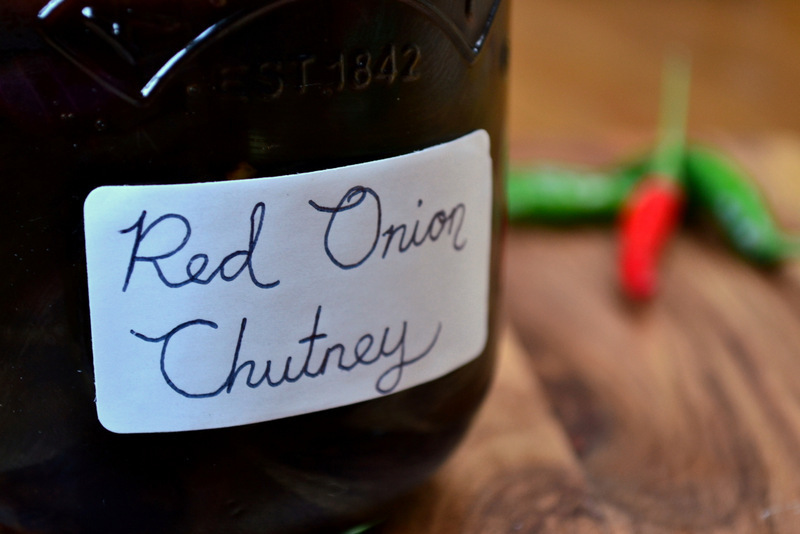 As so I… as do I. There’s something exceptional about a really flavoursome chutney! I think you have! 😀 Let me know if you like it! Yum! This looks totally delicious. 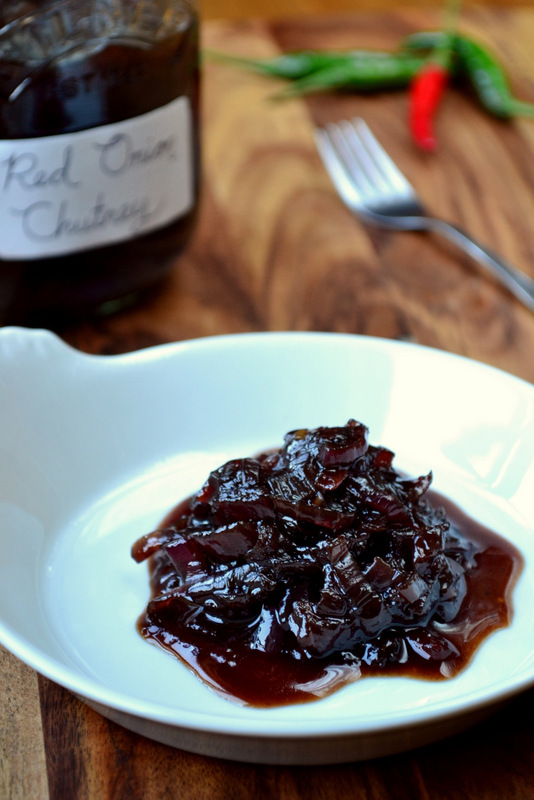 I’m a chutney fiend, and I’ll definitely be trying this. Thanks for sharing! Thanks so much! Please do! Looks like a wonderful chutney and the perfect gift!! There is wonderful flavor in red onions! Thanks! I do hope it goes down well! This looks great! And I love that there are chillies in this! Thanks! Yes they give the flavour a real interest and one’s mouth a real kick! Indeed this would make a fabulous gift Nick – and I could not agree more that inadequate gifts can be a (slight) bummer! Love this recipe – yum! OH I do hope so! Thanks so much, Shira! Fantastic, Cecilia! It’ll go down a storm, I’m sure! Gonna have to try this!! Haha – dreadfully sorry! Thanks, Jude! 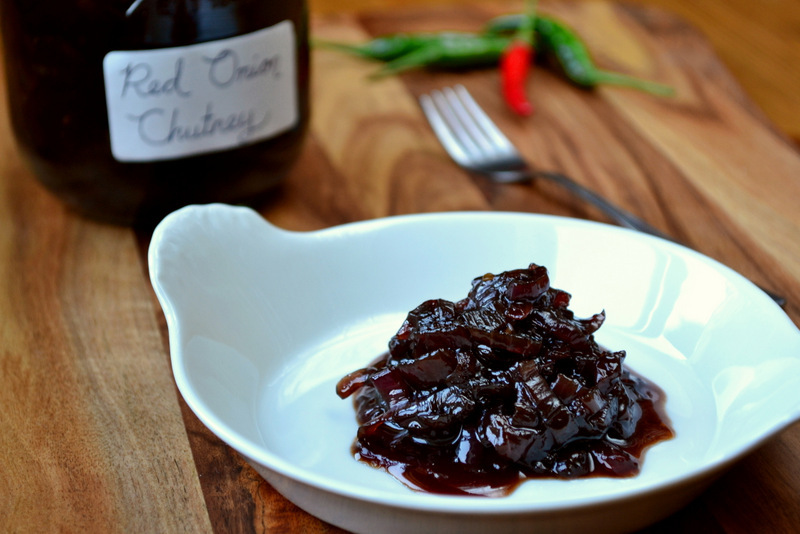 Onion chutney is a wonderful accompaniment to cheese and your looks and sounds wonderful. 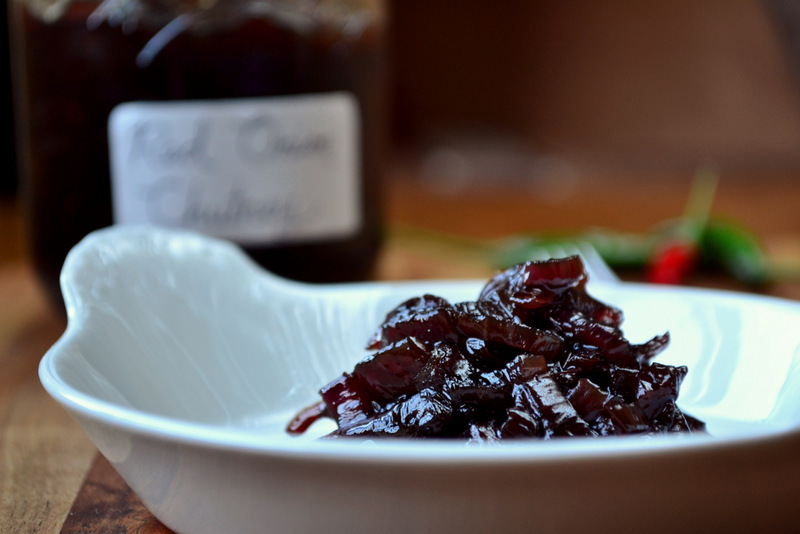 Thanks – this really is the perfect chutney for cheese! oooh, this looks like a delightful gift to give to oneself! will go wonderfully with my extra sharp Vermont cheddar. Ooooh yes, that sounds perfect! Thanks so much! 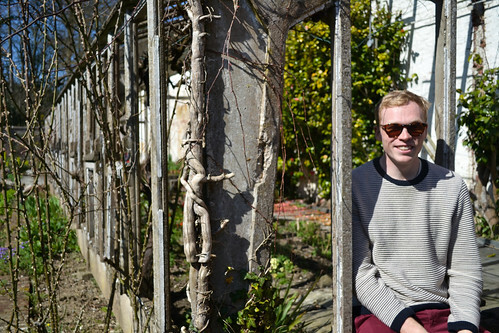 I’m loving doing the photography at the moment too! Your recipes look awesome. I love that you are just using straightforward food…the types of things we can get here in China. I hate reading a recipe, getting hungry for it, and then realizing…oh, yeah, I can’t get at least half of these ingredients. I cook with the basics, fresh seasonal veggies, homegrown herbs, nuts, olive oil, etc. It has to be available, and not at ridiculous import prices! I’m glad it wouldn’t be a problem! That’s a great way to cook! Haha – easy now! More chutney coming soon too! Hmmmm chutney is lovely. I’m storing this recipe away to make after we’ve moved. We just finished the last of my onion chutney this week. Have you tried tossing bangers or meatballs in chutney for their last 5 minutes of oven cooking? It makes for a sensational, sticky change. Your chutney will work perfectly. Oh it is 😀 – fantastic, it’s really delicious :). Hope the move goes well! That’s a great idea – perhaps I’ll give it a shot! Great gift Nick! I am sure anyone who is lucky enough to receive one will have it polished off in just a day or 2. I’d take this over another dull plate of Christmas cookies any day! I have a weakness for anything that involves slowly cooked onion. This will be my present to myself (a reward for cooking Christmas dinner for my husband’s extended family, perhaps)! Thanks for the recipe. I was just looking for edible gifts for my Dad who hates being bought things from shops for Christmas but absolutely loves home-made presents – think this one is a winner! Wow! This looks ridiculously delicious! Anything with onions and I am so hooked. Especially the red ones. Any thoughts on how to reduce the brown sugar a little? I was wondering about some maple syrup. What do you think? 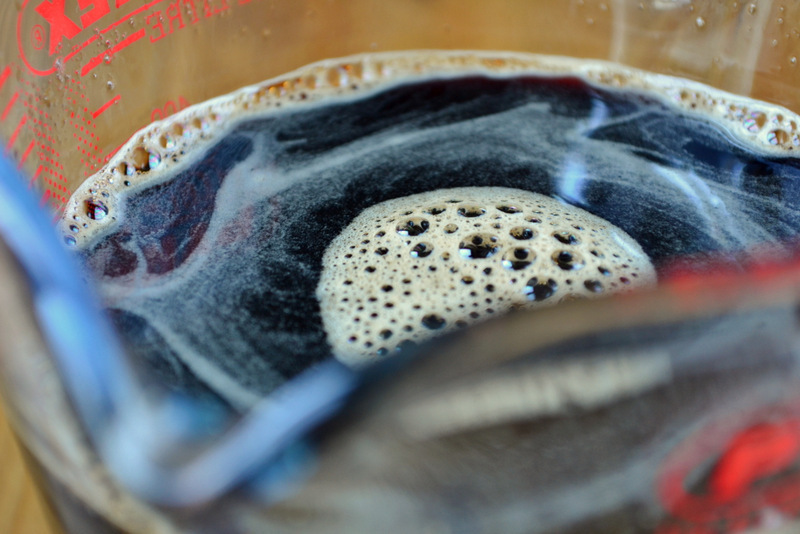 Do you think it needs the brown sugar for the right consistency? Thank you so much! I’d stick with the brown sugar, I tried to use less but it doesn’t work. What a a really great Christmas present! So tasty. Love red onions. Count me as “a Christmas sceptic, a scrooge” also, but that chutney looks grand. I am also giving edible home-made gifts this year – a first! I have the perfect person in mind for this chutney. That’s great! I hope they enjoy it! These would make a great Christmas gift. Homemade and personal 🙂 who doesn’t love chutney? Thanks! Exactly. It’s waiting to be gifted actually! This looks really great! I love onions, so I’ll definitely be giving this one a try. wow !! looks yummy will try it , thanks for the post. Thanks, please do – it was very yummy. Great! IT’s not that large anyway! I made this shortly after you posted in December. I brought a jar here and there to a party, and people went nuts over it! Now that fall’s is coming, I have so many people asking me to make it!!! Thank you for the post! Making it tonight! Fantastic! So glad everyone enjoyed it! I agree, handmade edible gifts are the way forward. I’ve made food gifts for the past few years and it’s so much cheaper and easier because everyone gets the same thing! Exactly! To be honest, I didn’t make anything this year. No time! Chillies? Sceptical? In what sort of insane spelling world do you reside??? I believe it’s called Britain, origin of the English language. The chutney looks great but please could you be more specific about the weight (or at least size) of red onions used? Mine vary in size from very small to large so 8 can vary considerably! Also, you say the ingredients make two jars of chutney – what size are these? Many thanks, Sally.